Attendees can also connect one-on-one with the speakers! During the conference, time can be secured with leading practitioners and thought leaders to discuss the biggest TA challenges your organization faces. 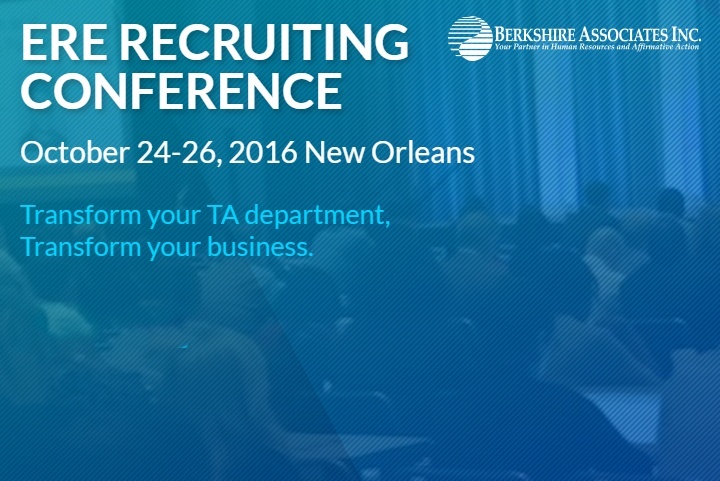 The experts attending the conference are some of the most successful innovative leaders in recruiting today. This unique experience provides direct access to their expertise. Meetings can be scheduled here. A full schedule of the event can be found here. For more information, or to register for this event, please click here.